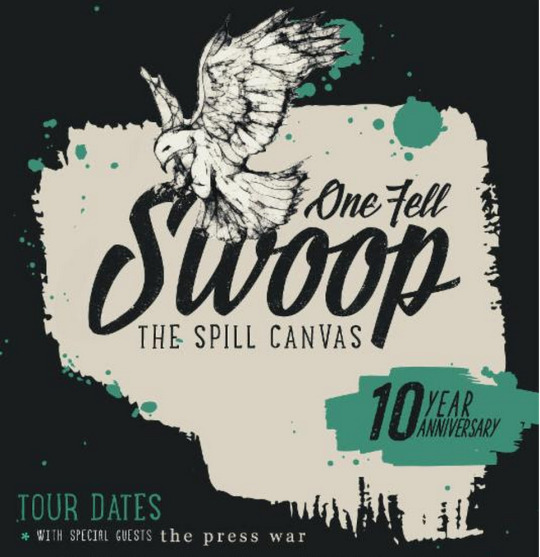 In celebration of the 10th anniversary of their 2005 album, One Fell Swoop, The Spill Canvas will be hitting the road and performing the album in its entirety. The tour, which kicks off on August 5th in Denver and wraps on August 23rd in Boston, will include direct support from The Press War. You can download an acoustic version of The Press War’s single, “I’m So Bored With Us,” exclusively on their soundcloud here! Below you can find the full list of tour dates!